TOPEKA, Kan. – Nearly 60 percent of the human poison exposures reported to the Kansas Poison Control Center involved medications or pharmaceuticals. While most over-the-counter and prescription medicines can be helpful when taken as directed, when not taken properly, medicines can be harmful, and in some cases deadly. Medication errors can occur at any age, which is why during the March 17-23 National Poison Prevention Week, Safe Kids Kansas asks everyone to be aware of proper medicine safety. It’s important for everyone to save the Poison Help line in your phone, said Stefanie Baines, education coordinator for the Poison Control Center at the University of Kansas Health System. “Calling 1-800-222-1222 is the fastest way to get an answer from an expert. It is far better than going online to find help, and you can call any time with questions, not just during emergencies,” Baines said. By taking a few precautions, you can help keep your loved ones and yourself safe from poison emergencies. Always store medicines up, away, and out of sight of children. Read each medicine’s label and always give “as directed” (use the dosing device that comes with the medicine) or as instructed by a physician or pharmacist. Learn to read, understand and follow the Drug Facts label. Never share your medicine with someone else or use someone else’s medicine. Measure every dose carefully, and always use the dosing device that comes with the medicine. Be sure to get permission and guidance from a parent or trusted adult before taking medicines. 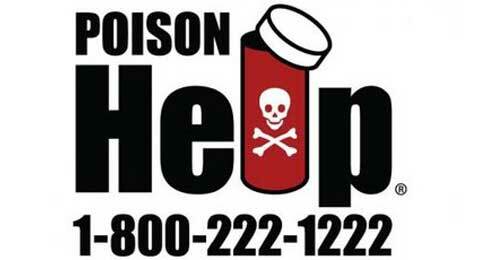 Be prepared for any poison emergency by programming the Poison Help line into your phone, 1-800-222-1222, and placing it somewhere visible in your home. Properly getting rid of medicine that you don’t need is especially important if you have children or pets in your home. Keep medicines in their original containers and properly labeled. If you have any questions about a medicine or ingredient, call your local poison center. Discuss all medications with your doctors and/or pharmacists, including prescription and over-the-counter medicines, and vitamins and supplements. Read and follow the directions for each of your medicines and take them exactly as directed. Keep a list of all medications that you are taking, including prescription and over-the-counter medicines, and vitamins and supplements, and bring the list whenever you go to doctor or drug store. Keep your medicines in child-resistant containers and up, away, and out of sight of children. If you need glasses, always use them when taking medications. Never take medications in the dark. If you experience adverse effects from a medicine or have any questions or concerns about a medicine, call the local poison center at once at 1-800-222-1222. For more medicine safety tips, see http://safekids.org. For tips on how to read a drug facts label, see https://www.knowyourotcs.org/how-to-read/.